Four-eyed fish, found in the Amazon River delta of South America. 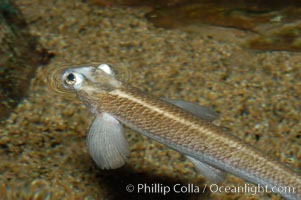 The name four-eyed fish is actually a misnomer. It has only two eyes, but both are divided into aerial and aquatic parts. 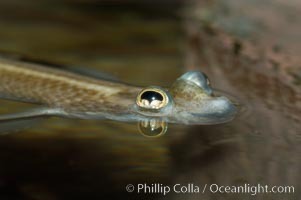 The two retinal regions of each eye, working in concert with two different curvatures of the eyeball above and below water to account for the difference in light refractivity for air and water, allow this amazing fish to see clearly above and below the water surface simultaneously. Largescale Foureyes Photo. Four-eyed fish, found in the Amazon River delta of South America. 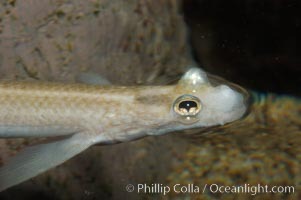 The name four-eyed fish is actually a misnomer. 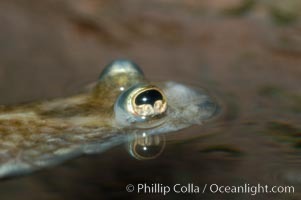 It has only two eyes, but both are divided into aerial and aquatic parts. 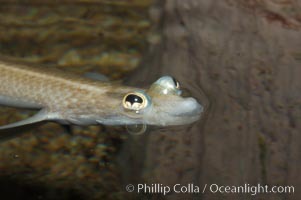 The two retinal regions of each eye, working in concert with two different curvatures of the eyeball above and below water to account for the difference in light refractivity for air and water, allow this amazing fish to see clearly above and below the water surface simultaneously. Largescale Foureyes Picture. Four-eyed fish, found in the Amazon River delta of South America. 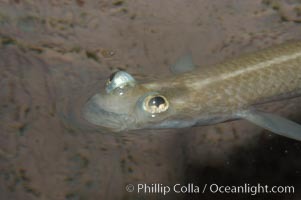 The name four-eyed fish is actually a misnomer. It has only two eyes, but both are divided into aerial and aquatic parts. The two retinal regions of each eye, working in concert with two different curvatures of the eyeball above and below water to account for the difference in light refractivity for air and water, allow this amazing fish to see clearly above and below the water surface simultaneously. Stock Photography of Largescale Foureyes. Four-eyed fish, found in the Amazon River delta of South America. 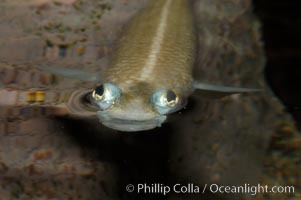 The name four-eyed fish is actually a misnomer. 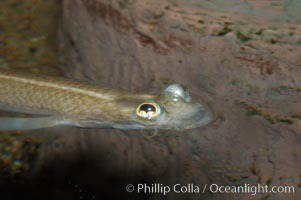 It has only two eyes, but both are divided into aerial and aquatic parts. 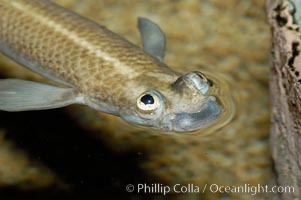 The two retinal regions of each eye, working in concert with two different curvatures of the eyeball above and below water to account for the difference in light refractivity for air and water, allow this amazing fish to see clearly above and below the water surface simultaneously. 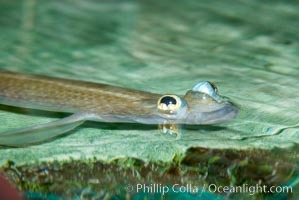 Photograph of Largescale Foureyes. Four-eyed fish, found in the Amazon River delta of South America. 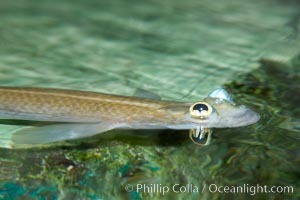 The name four-eyed fish is actually a misnomer. 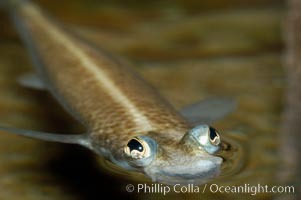 It has only two eyes, but both are divided into aerial and aquatic parts. 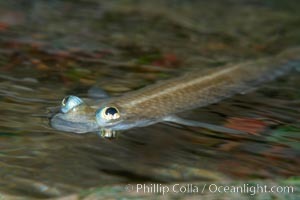 The two retinal regions of each eye, working in concert with two different curvatures of the eyeball above and below water to account for the difference in light refractivity for air and water, allow this amazing fish to see clearly above and below the water surface simultaneously. Largescale Foureyes Photos. Four-eyed fish, found in the Amazon River delta of South America. 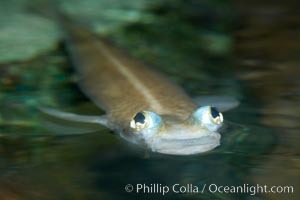 The name four-eyed fish is actually a misnomer. 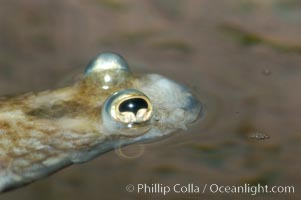 It has only two eyes, but both are divided into aerial and aquatic parts. The two retinal regions of each eye, working in concert with two different curvatures of the eyeball above and below water to account for the difference in light refractivity for air and water, allow this amazing fish to see clearly above and below the water surface simultaneously. Largescale Foureyes Image. Four-eyed fish, found in the Amazon River delta of South America. 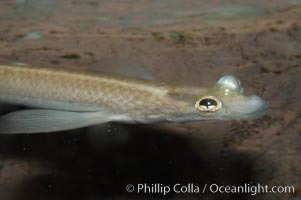 The name four-eyed fish is actually a misnomer. 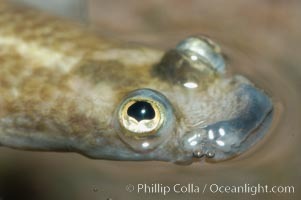 It has only two eyes, but both are divided into aerial and aquatic parts. 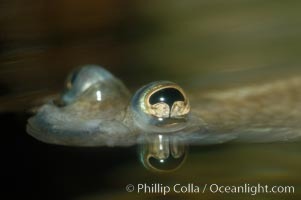 The two retinal regions of each eye, working in concert with two different curvatures of the eyeball above and below water to account for the difference in light refractivity for air and water, allow this amazing fish to see clearly above and below the water surface simultaneously. Professional stock photos of Largescale Foureyes. Four-eyed fish, found in the Amazon River delta of South America. 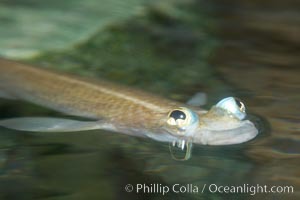 The name four-eyed fish is actually a misnomer. It has only two eyes, but both are divided into aerial and aquatic parts. 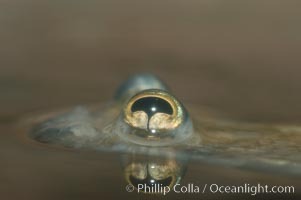 The two retinal regions of each eye, working in concert with two different curvatures of the eyeball above and below water to account for the difference in light refractivity for air and water, allow this amazing fish to see clearly above and below the water surface simultaneously. Pictures of Largescale Foureyes.